03-24-1603 – Queen Elizabeth I died at age 69 after ruling England for more than 40 years. 03-24-1934 – The Philippine Islands in the South Pacific were granted independence by President Franklin D. Roosevelt after nearly 50 years of American control. 03-24-1999 – NATO begins launching air strikes in an attempt to force Serbia to cease hostilities against ethnic Albanians in Kosovo. 03-25-1634 – Maryland was founded by settlers sent by the late Lord Baltimore. 03-25-1894 – Jacob Sechler Coxey and his “army” of unemployed men began their march from Ohio to Washington, DC. 03-25-1911 – A fire at the Triangle Shirtwaist Co. in New York City killed 145 workers. 03-25-1931 – The Scottsboro boys were arrested in Alabama. 03-25-1965 – The 25,000-person Alabama Freedom March to protest the denial of voting rights to blacks, led by Martin Luther King Jr., ended its journey from Selma on the steps of the State Capitol in Montgomery, Ala.
03-26-1945 – The battle of Iwo Jima ended; about 22,000 Japanese troops were killed or captured in the fighting and more than 4,500 U.S. troops were killed. 03-26-1979 – In a ceremony at the White House, President Sadat of Egypt and Prime Minister Begin of Israel signed a peace treaty ending 30 years of war between the two countries. 03-26-1982 – Groundbreaking ceremonies for the Vietnam Veterans Memorial took place in Washington, DC. 03-26-2000 – Vladimir Putin was elected president of Russia. 03-27-1794 – Congress authorizes the construction of six frigates, including the Constitution (Old Ironsides), for the U.S. Navy. 03-27-1866 – President Andrew Johnson vetoed a civil rights bill which later became the 14th amendment. 03-27-1958 – Nikita Khrushchev became Soviet premier and first secretary of the Communist Party. 03-28-1797 – Nathaniel Briggs patented a washing machine. 03-28-1939 – The Spanish Civil War ended. 03-29-1867 – The North America Act was passed by the British parliament, creating the dominion of Canada. 03-29-1951 – Julius and Ethel Rosenberg were found guilty of passing atomic secrets to the Russians and were sentenced to death. 03-29-1971 – Lt. William Calley was convicted of murdering 22 Vietnamese civilians in the My Lai massacre. 03-29-1973 – The last U.S. troops left South Vietnam. 03-30-1856 – The Treaty of Paris was signed, ending the Crimean War. 03-30-1867 – A treaty for the purchase of Alaska from Russia for the sum of $7.2 million, approximately two cents an acre, was submitted to the U.S. Senate. 03-30-1870 – The 15th Amendment to the U.S. Constitution went into effect, guaranteeing the right to vote regardless of race. 03-30-1981 – President Ronald Reagan was shot in the chest by John Hinckley as he left a Washington hotel. 03-31-1492 – Queen Isabella and King Ferdinand of Spain expelled Jews who would not accept Christianity. 03-31-1889 – The Eiffel Tower in Paris officially opened. 03-31-1918 – Daylight Saving Time went into effect in the United States. 03-31-1949 – Newfoundland became Canada’s tenth province. 03-31-1959 – The Dalai Lama, fleeing Chinese repression of an uprising in Tibet, arrived at the Indian border and was granted political asylum. 04-01-1789 – Frederick Muhlenberg of Pennsylvania was elected the first Speaker of the House of Representatives. 04-01-1933 – The Nazi persecution of Jews began in Germany with a boycott of Jewish businesses. 04-01-1945 – American forces landed on Okinawa during World War II. 04-01-1970 – President Nixon signed a bill into law banning cigarette ads from radio and television. 04-01-1979 – Ayatollah Khomeini proclaimed the establishment of the Islamic Republic of Iran. 04-01-2003 – Pvt. Jessica Lynch was rescued by U.S. commandos in a raid on an Iraqi hospital. 04-01-2004 – President Bush signed the “Laci Peterson” bill making it a separate federal crime to harm a fetus during an attack on the mother. 04-02-1513 – Spanish explorer Juan Ponce de Leon landed in Florida. 04-02-1792 – Congress authorized the first U.S. mint, in Philadelphia. 04-02-1865 – Confederate president Jefferson Davis and most of his cabinet fled the Confederate capital of Richmond, Va.
04-02-1870 – Victoria Claflin Woodhull announced her candidacy for president of the United States. 04-02-1917 – President Woodrow Wilson asked Congress to declare war against Germany. 04-02-1932 – Charles Lindbergh paid a $50,000 ransom for the return of his kidnapped son. 04-02-2005 – Pope John Paul II died. 04-03-1882 – Outlaw Jesse James was shot in the back by Bob Ford, one of his own gang members, reportedly for a $10,000 reward. 04-03-1936 – Bruno Hauptmann was electrocuted for the kidnapping and murder of the Lindbergh baby. 04-03-1948 – President Truman signed the Marshall Plan, which would foster the recovery of war-torn Europe. 04-04-1818 – Congress adopted a U.S. flag with one star for each state. 04-04-1841 – President William Henry Harrison died from pneumonia, one month after his inauguration. 04-04-1945 – The Ohrdruf death camp was liberated from Nazi occupation. 04-04-1949 – The treaty establishing the North Atlantic Treaty Organization (NATO) was signed. 04-04-1968 – Martin Luther King, Jr., was assassinated. 04-04-1973 – The ribbon was cut to open the World Trade Center in New York City. 04-05-1614 – Pocahontas married John Rolfe. 04-05-1792 – George Washington cast the first presidential veto. 04-05-1951 – Julius and Ethel Rosenberg were sentenced to death for giving away atomic secrets to the Russians. 04-05-1955 – Winston Churchill resigned as prime minister of Britain. 04-06-1862 – The Battle of Shiloh in the American Civil War began. 04-06-1917 – U.S. declared war on Germany and entered World War I. 04-06-1994 – The presidents of Rwanda and Burundi were killed in a plane crash. 17/03/1762 – The first St. Patrick’s Day parade was held in New York City. 17/03/1776 – British forces evacuated Boston during the Revolutionary War. 17/03/1870 – Wellesley Female Seminary (later Wellesley College) received its charter from the Massachusetts legislature. 17/03/1942 – Gen. Douglas MacArthur became supreme commander of Allied forces in the southwest Pacific theater during World War II. 17/03/1969 – Golda Meir was sworn in as prime minister of Israel. 17/03/2003 – President Bush delivered an ultimatum to Saddam Hussein: leave Iraq within 48 hours or face an attack. 18/03/1584 – Russian czar Ivan IV, or Ivan “The Terrible,” died at age 53. 18/03/1766 – After months of American protests, Britain repealed the Stamp Act. 18/03/1925 – The most violent single tornado in U.S. history, the “Tri-State Tornado,” hit Missouri, Indiana, and Illinois, killing 689 people and injuring 13,000 others. 18/03/1963 – The Supreme Court held in Gideon v. Wainwright that public defenders must be provided for indigent defendants in felony cases. 18/03/1965 – Soviet cosmonaut Aleksei Leonov made the first spacewalk. 18/03/1990 – The biggest art theft in U.S. history occurs at the Isabella Stewart Gardner Museum in Boston. The works, including pieces by Vermeer and Rembrandt, were never recovered. 03-19-1853 – During the Taiping Rebellion in China, the rebels captured Nanking and renamed it T’en-ching (Heavenly Capital). 03-19-1920 – The United States Senate voted down signing the Treaty of Versailles for the second time. 03-19-2003 – Operation Iraqi Freedom is launched with air strikes on Baghdad, the beginning of the war with Iraq (March 20 in Iraq). 03-20-1602 – The Dutch East India Company was established. During its 196-year history, it became one of the world’s most powerful companies. 03-20-1852 – Harriet Beecher Stowe’s “Uncle Tom’s Cabin” was published. 03-20-2003 – Ground troops entered Iraq and a second round of air strikes against Baghdad was launched. 03-21-1556 – The Archbishop of Canterbury, Thomas Cranmer, was burned at the stake as a heretic. 03-21-1804 – The French civil code, the Code Napoleon, was officially put forth. 03-21-1963 – Alcatraz Prison in San Francisco Bay, a harsh maximum security jail which once housed gangster Al Capone, closed. 03-21-1965 – Martin Luther King, Jr., led the start of a civil rights march from Selma to Montgomery, Alabama. 03-22-1765 – The Stamp Act was enacted on the American colonies by Britain. 03-22-1820 – U.S. naval hero Stephen Decatur was killed in a duel with dishonored former Chesapeake captain James Barron. 03-22-1895 – Auguste and Louis Lumiere first demonstrated motion pictures using celluloid film in Paris. 03-22-1972 – Congress approved the Equal Rights Amendment and sent it to be ratified by the states. The amendment would fail to get the required 38 states to ratify it. 03-23-1806 – Lewis and Clark began their return journey east. James Donovan: A Terrible Glory: Custer and the Little Bighorn – the Last Great Battle of the American West (REV), March 24, 2008. 12/03/1930 – Mohandas Gandhi began his 200-mile march to protest the British salt tax. 12/03/1933 – President Franklin D. Roosevelt gave the first of his nation-wide “fireside chats” on radio. 12/03/1993 – Janet Reno was sworn in as the first female attorney general of the United States. 12/03/2002 – The color-coded terror alert system was unveiled by Homeland Security chief Tom Ridge. 13/03/1639 – Cambridge College was renamed Harvard University. 13/03/1852 – “Uncle Sam” cartoon appeared for the first time in N.Y. Lantern weekly. 13/03/1868 – The Senate began President Andrew Johnson’s impeachment trial. 13/03/1925 – Tennessee passed a bill prohibiting the teaching of evolution in public schools. 13/03/1972 – Britain and China resumed full diplomatic relations after 22 years; Britain withdrew its consulate from Taiwan. 14/03/1743 – The first town meeting was held in Boston, Massachusetts, at Faneuil Hall. 14/03/1794 – The cotton gin was patented by Eli Whitney. 14/03/1964 – Jack Ruby was found guilty of the murder of Lee Harvey Oswald, alleged assassin of President John F. Kennedy. 14/03/1990 – The Soviet Congress voted Mikhail Gorbachev into the newly-created and powerful position of president. 15/03/44 B.C. – On the “Ides of March,” Julius Caesar was stabbed to death in the senate house by a group of conspirators led by Cimber, Casca, Cassius, and Marcus Junius Brutus. 15/03/1493 – Christopher Columbus returned to Spain after his first visit to the Western Hemisphere. 15/03/1820 – Maine became the 23rd state. 15/03/1917 – Nicholas II, the last czar of Russia, is forced to abdicate his throne (March 2, old style calendar). 15/03/1965 – President Lyndon Johnson asked Congress for legislation guaranteeing every American the right to vote. 16/03/1850 – Nathaniel Hawthorne’s novel The Scarlet Letter was published. 16/03/1935 – Adolf Hitler cancelled the military clauses of the Treaty of Versailles. 16/03/1968 – The My Lai massacre occurred in Vietnam. 16/03/1968 – New York Senator Robert Kennedy announced his intention to run for the Democratic presidential nomination. 16/03/1985 – U.S. journalist Terry Anderson was kidnapped in Beirut; he was not released until December 4, 1991 after 2454 days in captivity. 16/03/1988 – Lieutenant Colonel Oliver L. North and Vice Admiral John M. Poindexter of the National Security Council are indicted on charges of conspiracy to defraud the United States for their role in the Iran-contra affair. Area of Research: Modern U.S. history, Asian Americans, Women, Immigration, the American West, and the 1960s. Major Publications: Wu is the author of Doctor ‘Mom’ Chung of the Fair-Haired Bastards: The Life of a Wartime Celebrity, (University of California Press, 2005). She is currently working on “Radicals on the Road: Third World Internationalism and American Orientalism during the Viet Nam Era,” book project (advanced contract from Cornell University Press for the U.S. and the World Series, edited by Mark Bradley and Paul Kramer). Wu is also the author of numerous scholarly journal articles, book chapters and reviews including among others: “Journeys for Peace and Liberation: Third World Internationalism and Radical Orientalism during the U.S. War in Viet Nam,” special issue on “Asian American History in Transnational Perspective,” Pacific Historical Review 76:4 (November 2007): 575-584; “From OSU to Amsterdam: Transformative Learning through Community-Based Multi-Media Research,” Talking about Teaching: Essays by Members of the Ohio State University Academy of Teaching (May 2007), pp. 44-48; “‘The Ministering Angel of Chinatown:’ Missionary Uplift, Modern Medicine, and Asian American Women’s Strategies of Liminality,” Asian/Pacific Islander American Women: A Historical Anthology, ed. by Shirley Hune and Gail Nomura, (New York University Press, 2003), pp. 155-171; “Was Mom Chung a ‘Sister Lesbian’? : Asian American Gender Experimentation and Interracial Homoeroticism,” Journal of Women’s History 13:1 (Spring 2001), pp. 58-82, honorable Mention for the 2000-2001 Audre Lorde Prize, given for an outstanding article on lesbian, gay, bisexual, transgendered, transsexual, and/or queer history published in English, reprinted in American Dreaming, Global Realities: Rethinking U.S. Immigration History, ed. by Donna Gabaccia and Vicki L. Ruiz (Urbana: University of Illinois Press, 2006), pp. 379-398, will be reprinted in Unequal Sisters, 4th edition, ed. by Vicki L. Ruiz (forthcoming); “‘Loveliest Daughter of Our Ancient Cathay!’: Representations of Ethnic and Gender Identity in the Miss Chinatown U.S.A. Beauty Pageant,” Journal of Social History 31:1 (September 1997), pp. 5-31; reprinted in Business and Beauty: Commerce, Gender, and Culture in Modern America, ed. by Philip Scranton (Routledge Press, 2001), pp. 278-308, reprinted in Western Women’s Lives: Continuity and Change in the Twentieth Century, ed. by Sandra K. Schackel (University of New Mexico Press, 2003), pp. 389-426. 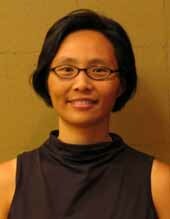 Wu was Visiting Associate Professor, University of Chicago, Center for the Study of Race, Politics, and Culture and History Department in 2005-2006. I became a historian because I got arrested in college. Or, perhaps I got arrested because I believed in the power of history. I was born in Taipei, Taiwan and immigrated with my family to Spokane, Washington when I was six years old. I helped my family run a restaurant and then a convenience store until I left to attend college at Stanford University. When I was a sophomore, I became involved in a campaign to lobby for ethnic studies and ethnic student services. There had been a racially motivated attack against the African American theme dorm at Stanford. I thought such behavior was inappropriate, and it reminded me of the harassment and discrimination that my family experienced in the predominantly white community of Spokane. In response, I became a student activist. I worked with people of varying backgrounds to advocate for more courses that examined race and inequality. 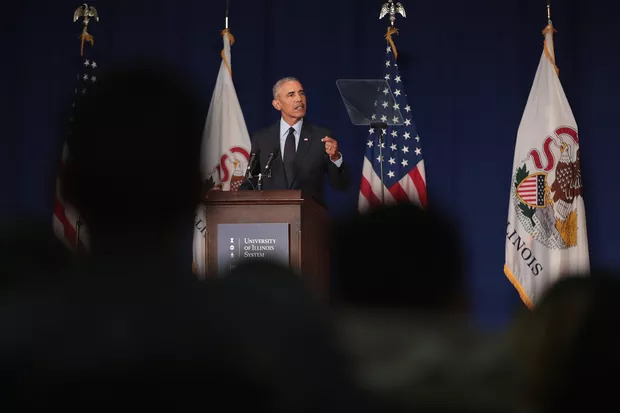 We also called for more institutional support for ethnic student service centers so that students of color might feel more at home on the college campus. I believed that if all students were exposed to the diversity of American society, they might learn to treat each other with more respect. Through meetings, petitions, rallies and eventually a protest at the president’s office which led to our arrest, we succeeded in persuading the university administration to hire the first faculties in Asian American Studies, conduct a review of the African American Studies Program, provide more funding and a full-time dean for the Chicano Student Center, and reexamine the eligibility of Native Hawaiians for affirmative action programs. I subsequently decided to major in American Studies so that I might learn more about the history, politics, and culture of the U.S. After completing an honors thesis on the 1960s social movements in San Francisco Chinatown and working at the Martin Luther King, Jr. Papers Project, I eventually enrolled in the History Ph.D. program at Stanford. Although these events occurred almost half of my lifetime ago, they remain formative for my intellectual, political, and personal development. Both my research and teaching foreground the analysis of race, gender, class, and nationality in the study of American history. I am particularly interested how categories of social difference and inequality are constructed and intertwined. I also pay close attention to how individuals create meaningful identities and interact with their lived environments. Because my goal is to promote greater understanding of the diversity of American history, I encourage students to think about various ways to study the past and to think about the connections between knowledge gained in the classroom and their experiences in contemporary society. My current research project is very much influenced by my background as a student activist. In “Radicals on the Road: Third World Internationalism and American Orientalism during the Vietnam Era,” I explore the travels of American peace activists who criticized the U.S. war in Viet Nam. I am particularly interested in how the experiences of being outside of the U.S. and meeting non-Americans shaped the identities and political beliefs of diverse American activists. 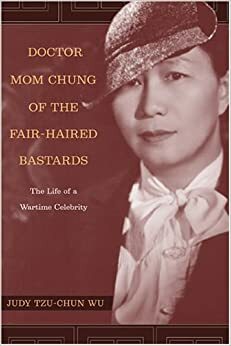 My first book, Doctor Mom Chung of the Fair-Haired Bastards: The Life of a Wartime Celebrity (University of California Press, 2005) is a biography of a colorful yet largely unrecognized historical figure. Dr. Margaret Chung (1889-1959) was the first known American-born Chinese female physician. She established one of the earliest Western medical clinics in San Francisco’s Chinatown in the 1920s. She also became a prominent celebrity and behind-the-scenes political broker during Sino-Japanese and Second World Wars. During this period, her home was the place to be in San Francisco. Soldiers, movie stars, and politicians gathered there to socialize, to show their dedication to the Allied cause, and to express their affection for their “adopted” mother. Chung’s surrogate sons numbered in the thousands and included well-known figures such as actor Ronald Reagan, Admiral Chester W. Nimitz, and musician Andre Kostelanetz. Chung even used her fictive kinship network to recruit pilots for the Flying Tigers and lobby for the creation of WAVES, the U.S. women’s naval reserve. Because she never married and could not provide a “legitimate” father figure, her “sons” became known as the “Fair-Haired Bastards.” Although Chung publicly adopted a maternal identity, she experimented with her gender presentation and developed romantic relationships with other women, such as writer Elsa Gidlow and entertainer Sophie Tucker. My book capitalizes on Chung’s uniqueness to examine how American race relations, gender roles, and sexual norms shifted over the course of her lifetime. Major Publications: Rossinow is the author of Visions of Progress: The Left-Liberal Tradition in America, (Philadelphia: University of Pennsylvania Press, 2008, released December 2007). Nominated for the Merle Curti Prize of the Organization of American Historians, the Ellis Hawley Prize of the Organization of American Historians, and the Bancroft Prize in American History. The Politics of Authenticity: Liberalism, Christianity, and the New Left in America, (New York: Columbia University Press, 1998; paper ed., 1999). Rossinow is the co-editor with Rebecca S. Lowen of The United States Since 1945: Historical Interpretations, (Upper Saddle River, NJ: Pearson/Prentice Hall, 2006. Rossinow is also the author of numerous scholarly journal articles, book chapters and reviews including among others: “The Radicalization of the Social Gospel: Harry F. Ward and the Search for a New Order, 1898-1936,” Religion and American Culture, Vol. 15, No. 1 (Jan. 2005); “‘The Model of a Model Fellow Traveler’: Harry F. Ward, the American League for Peace and Democracy, and the ‘Russian Question’ in American Politics, 1933-1956,” Peace and Change, Vol. 29, No. 2 (April 2004). Winner of the Peace History Society’s Charles DeBenedetti Prize for Best Article in Peace Studies for 2003 and 2004; “The New Left in the Counterculture: Hypotheses and Evidence,” Radical History Review, No. 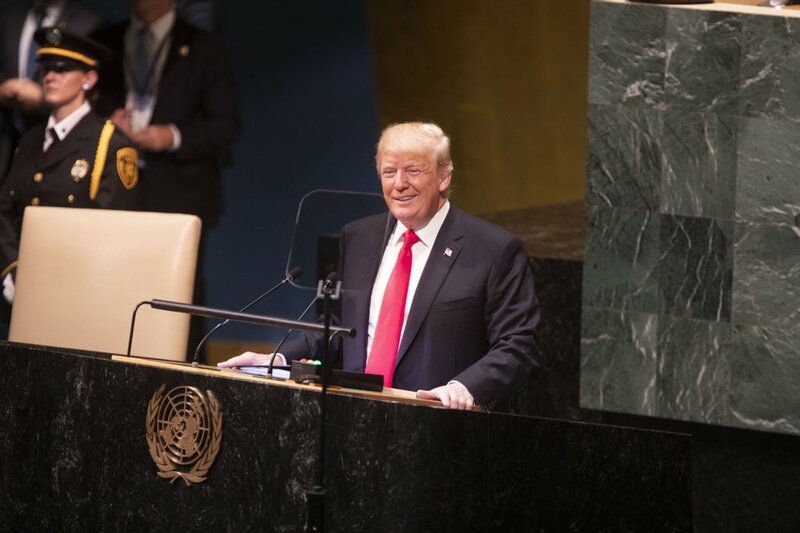 67 (Win. 1997); “‘The Break-through to New Life’: Christianity and the Emergence of the New Left in Austin, Texas, 1956-1964,” American Quarterly Vol. 46, No. 3 (Sept. 1994); reprinted in American Radicalism, ed. Daniel Pope (Blackwell, 2001); “Letting Go: Revisiting the New Left’s Demise,” in Paul Buhle and John C. McMillian, eds., The New Left Revisited, (Temple University Press, 2003); “Mario Savio and the Politics of Authenticity,” in Robert Cohen and Reginald E. Zelnik, eds., The Free Speech Movement: Reflections on Berkeley in the 1960s, (University of California Press, 2002); “The New Left: Democratic Reformers or Left-Wing Revolutionaries?” in David Farber and Beth Bailey, eds., The Columbia Guide to America in the 1960s, (Columbia University Press, 2001); “The Revolution Is about Our Lives: The New Left’s Counterculture,” in Peter Braunstein and Michael William Doyle, eds., Imagine Nation: The American Counterculture of the 1960s and ’70s,(Routledge, 2001). Philip Washburn Prize for best undergraduate history thesis, Harvard University, 1988. 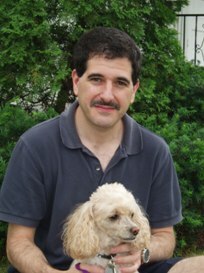 Formerly Chair, Department of History, Religious & Women’s Studies, Metropolitan State University, 2000-2003, and Visiting Assistant Professor of History, The Johns Hopkins University, 1994-1996. Rossinow has appeared numerous times as a guest on public radio stations discussing the following topics: the Christian left in America, perfectionism in U.S. history, 1960s radicalism, and Ronald Reagan and America in the 1980s. He has written numerous opinion pieces in a variety of newspapers on topics including: Ronald Reagan and popular memory, the red scare of the 1950s, and the historical lessons of the 2004 presidential campaign. Years ago, when I was a fellow at the Smithsonian’s National Museum of American History, at work on a dissertation on 1960s radicalism, I heavily taxed the interlibrary loan services of the library there. One of the librarians told me at one point, in a confidential tone, that she had been wondering why I was ordering books that could be found only at places like Liberty University-the Lynchburg, Virginia institution founded and led by the Reverend Jerry Falwell. I’m an historian of American politics. I never expected to be an historian of religion. Actually, I never really did become an historian of religion, in any conventional sense. But I did acquire a lasting interest in the intersection of religion and political dissent-a connection I might have expected to encounter if I had undertaken a study of political radicalism in eighteenth- or nineteenth-century America, but one I did not anticipate exploring so deeply while investigating the political left in post-1945 America. Eventually I managed to compress about one-hundred pages on Christian existentialism down to a single chapter. I decided that was about what the topic deserved in the context of a study of white youth radicalism in Austin, Texas, which eventually took the form of a book, The Politics of Authenticity. However, religion is something that pops up in unexpected places when studying American history. I have continued to explore what I call the prophetic dimension of American political radicalism in twentieth-century America-radical politics typically directed toward very nonreligious ends. And I still teach a course on religion and politics in American history. In my new book, Visions of Progress: The Left-Liberal Tradition in America, I’ve moved (for now) away from monographic research and toward a synthetic perspective. One of the things I learned in researching my first book is that radical and reform politics in U.S. history have sometimes had more in common than is usually recalled. The left and liberalism are neither mutually exclusive categories nor (as a Fox News viewer might think) identical categories; they are overlapping categories. I emphasize that American radicals, between 1880 and the present, frequently have done the work of liberalism, trying to realize the liberal ideals of constitutional government, natural rights, and other things, while, during at least some of that period, plenty of liberal reformers took a more critical stance toward American capitalism than recent history would lead us to believe. The prophetic stance is visible, too, but in ironic fashion: consciously religious social criticism was pervasive within American reform as well as among radicals in the Gilded Age, the Progressive Era, and even later; but it became the more exclusive province of radicals during the cold war and after, even though recent American radicals have usually been ardently secular people. Go figure. I recently got a message from a student at a seminary in Austin, saying that some folks there are interested in establishing an intentional religious study community. He had read about another such community in the 1950s in The Politics of Authenticity, and wondered if I could send him some documents I had cited in my book. Now I’m glad I held onto those dissertation research files.